CFI is about installers helping installers rise to a level of professional skills and integrity that will bring the maximum beneficial impact to the floor covering industry, the floor covering installation profession, and to customers who care about the quality of the investment in their floors. 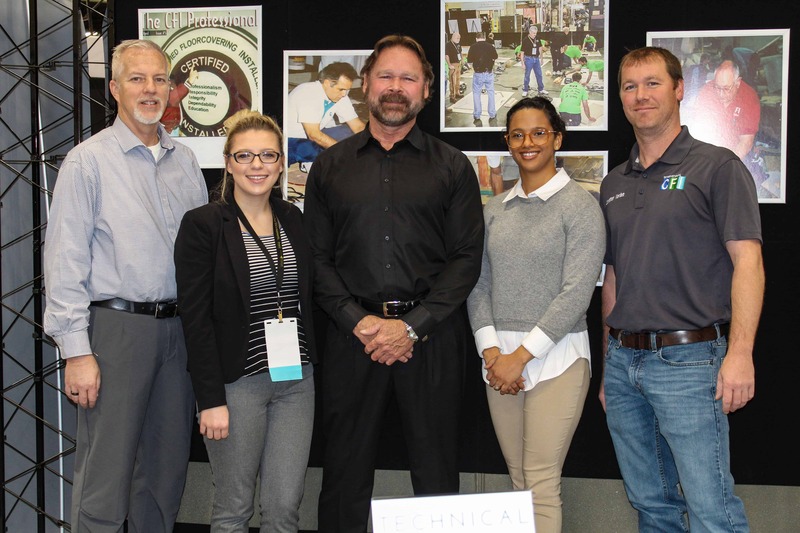 The programs designed to execute our mission include one and two-day events for the installation professional as well as one, two and five-week courses for those looking to start their installation career or add a new flooring to their repertoire. In his current role as the Vice President of the CFI Division of the World Floor Covering Association Robert is the provider of vision, voice, and operational oversight for the CFI Association which represents professional installation throughout the world. He started his flooring career as a commercial flooring installer and expanded his expertise into inspection, training, consulting, speaking, and writing, in addition to running a commercial workroom. With 40+ years in the flooring industry, Robert brings a unique perspective to the installation trade that focuses on the individual installer and improving installation. Jonathan began his installation career in the year 2000 in California at Advanced Flooring Technology. He became CFI Certified in 2003 and advanced to a Senior Certifier, conducting trainings for CFI all over the country. In 2015, Jonathan accepted his current role with CFI as Sr. Manager of Training in Dallas, TX. Erica began her pursuit of marketing by obtaining her Bachelor of Business Administration in Marketing from Stephen F. Austin State University in Nacogdoches, TX. During schooling and after graduation, Erica completed marketing related internships before beginning her career in the flooring industry at CFI in November of 2017. In her current role, she coordinates all marketing and membership efforts for CFI. John McHale began his career in the flooring business in 1984 in Kansas City, Missouri as a flooring estimator. He has served the industry in numerous capacities as the Vice President of Walker’s Inc / The American Floor Covering Institute. His responsibilities included representing the public relations division of the organization and the management of the installation crews. He was instrumental in the development of CFI since its origination in 1993. He currently resides in the Dallas, TX area. Chloee expanded into the flooring industry in 2016 as CFI was just getting started in Forney, TX. After receiving her Associates Degree in Business from Collin County Community college, Chloee and her husband Daniel moved and bought a house in Forney, TX. Shortly after, her husband was deployed overseas and that is when she decided to take the position of Executive Assistant to VP, Robert Varden. Chloee could not see herself anywhere else other than with her newly developed family, we call, CFI! Our national office is located at 10676 West US Highway 80, Forney, TX 75126. *World Floor Covering Association is a 501(c)6 non profit organization headquarted at 855 Abutment Rd STE 1 Dalton, GA 30721.